Vintage inspired Bird of Paradise brooch bronze by From Paris With Love! 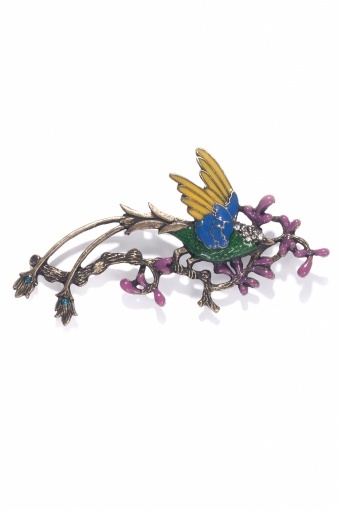 Beautiful coloured brooch with bird of paradise on a blossom branche in bronze tone (nickelfree) metal. The bird and blossom are enameled in various colours. Richly decorated with strass details on the bird's head and tail feathers.